Unless life is uncomfortable, there’s no room for transformation. 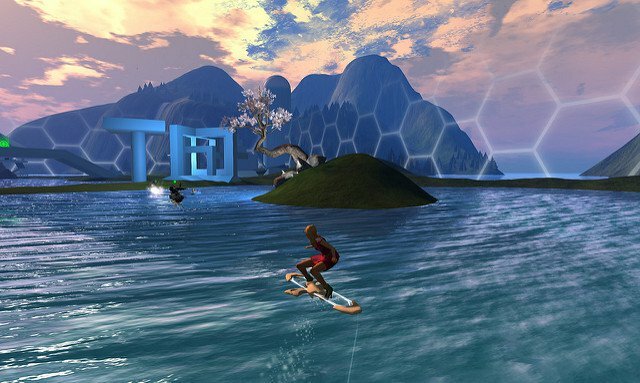 Hoverboard Wars in Second Life 06. Credit: Flickr/Torley. Some rights reserved. It sounds great if you can afford it, but who really benefits from this brave new world? It’s a similar though less lethal story in Silicon Valley, where the friction of finding a place to live is being aggressively outsourced from the rich to the poor. Technology companies like Facebook and Google worry that even staff who are well paid are struggling to find accommodation in the housing bubble of San Francisco, so they are buying up and redeveloping property for their workers and evicting low-income tenants.